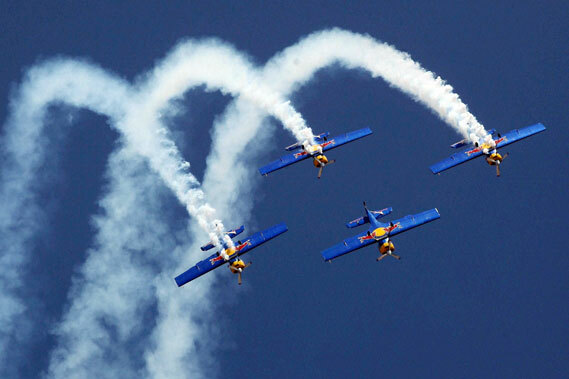 Flying Bulls Zlin 50LX single-engine and single-seater aerobatic display team from the Czech Republic performs during the 3rd day of Aero India 2013 at Yelahanka Airbase. 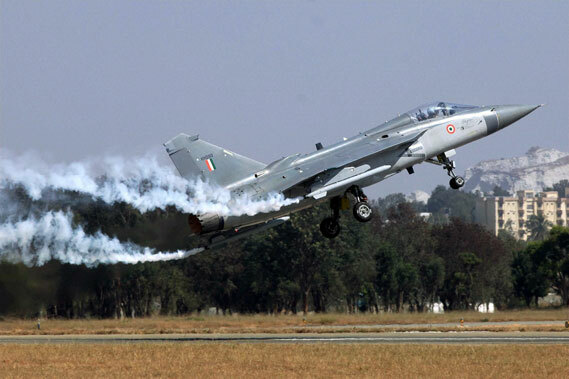 Tejas aircraft performs during the inauguration of the Aero India 2013 at Yelhanka Air base in Bengaluru on Wednesday. Defence Minister AK Antony releases Brahmand World Defence Update 2013 with Dr. AS Pillai, CEO & MD, BrahMos Aerospace at Aero India 2013. BRAHMOS Land Mobile Complex at Aero India 2013. Naval Fleet with BRAHMOS at BrahMos pavilion during Aero India 2013. 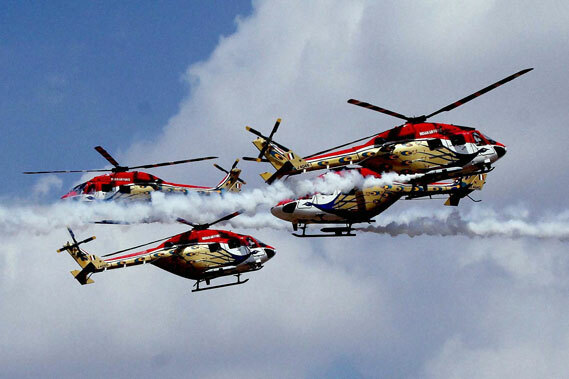 Sarang Helicopter team performing aerobatic display at the airshow. Defence Minister AK Antony being briefed by Dr. AS Pillai, CEO & MD, BrahMos Aerospace at the BrahMos pavilion. Mikhail A. Pogosyan, President of United Aircraft Corporation with Dr. AS Pillai, CEO & MD, BrahMos Aerospace at BrahMos pavilion. Minister of State for Defence Jitendra Singh visits BrahMos pavilion at Aero India 2013. BRAHMOS air-launched version at Aero India 2013. BRAHMOS full-scale missile with Su-30MKI on display at the airshow. Air Marshal S. Sukumar, Deputy Chief of Air Staff, IAF with Dr. AS Pillai at the BrahMos pavilion.